Happy Monday friends! I hope everyone had a great weekend. I had no agenda and didn't do anything terribly exciting, which is just the kind of weekend I needed. Friday night, we saw Chef and both Mike and I loved it. There was an all-star cast, including Jon Favreau, Sophia Vergara, Scarlett Johansson, and Dustin Hoffman. Robert Downy Junior has an absolutely hilarious cameo as well. This movie will make your mouth water. 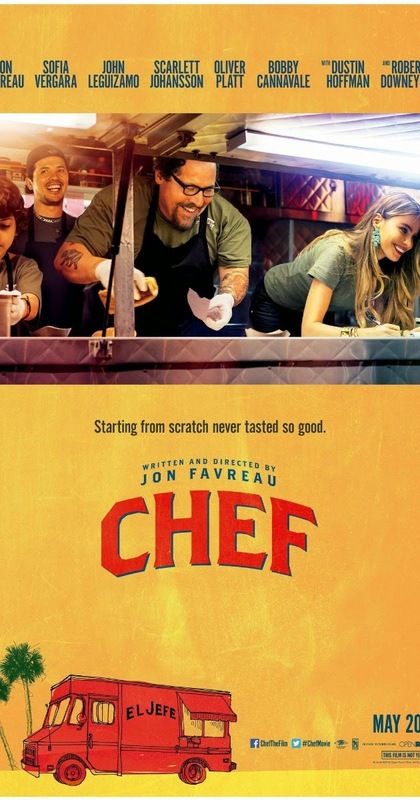 There is a scene where Jon Favreau's character is making his son the most amazing looking grilled cheese. The food shots are fantastic and they really harp on the crunching sounds. The soundtrack was so lively as well, with lots of Cuban flare. Saturday morning, I lounged around and browsed through the Smitten Kitchen cookbook, which I picked up at Anthropologie last week. 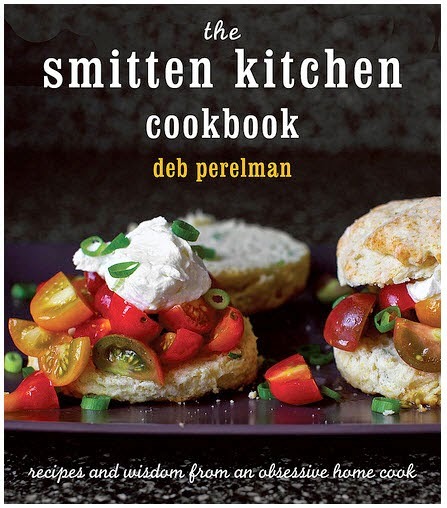 If you haven't read it, Smitten Kitchen is a great food blog. I appreciate anyone who describes themselves as 'an obsessive home cook', and can also whip up gourmet meals in a tiny NYC kitchen. Her recipes are super creative, yet approachable. I'm looking forward to trying her sour cream peach pancakes. On Sunday, I made my first summer batch of pesto, and judging by the size of my ginormous basil plant, there will be more to come! I can't take credit for it though. 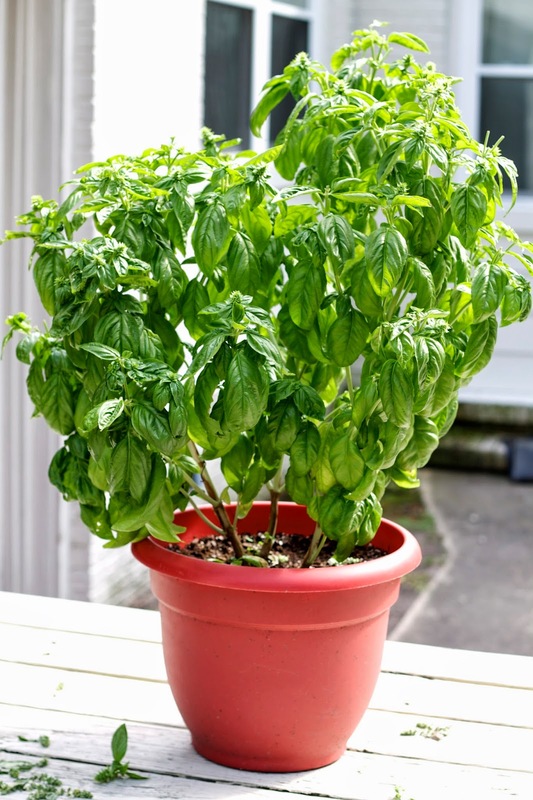 My father-in-law grows a mean basil and he gave me one of his plants. I don't have much of a green thumb, but I have at least kept it alive for about a month now! Most recipes call for pine nuts, but I usually use walnuts because they're cheaper- they still taste great!